There are a lot of houses for rent in Costa Rica. One gorgeous luxury villa is right on the beach and includes a small, private staff for your stay. When you enjoy your privacy, finding a house for rent in Costa Rica is a far better option than staying in a hotel. Many times your accommodations will be far superior to what a hotel can offer. To go several steps better, go all out and rent a luxury villa. Renting a luxury villa puts you in the lifestyle of great wealth and pampering. A private chef cooks your meals and leaves a late night snack out for you. You have your choice of a private beach or a crystal clear swimming pool, just outside the back door. Your staff helps you plan your vacation tours and activities. If you are going to be on vacation, you must make the best of it. Get caught up on your spa appointments with facials, massages and have your nails done, all in your villa. You might think that renting a luxury villa would be ridiculously expensive, but in reality it isn’t, if you book with a group. There are dramatic differences in pricing depending on which time of the year you’ll be staying. So, if you travel with 10 or 20 other people in say, May or June, you can get your villa costs down to only about $60 per person. That is less than most hotels and you get so much more. 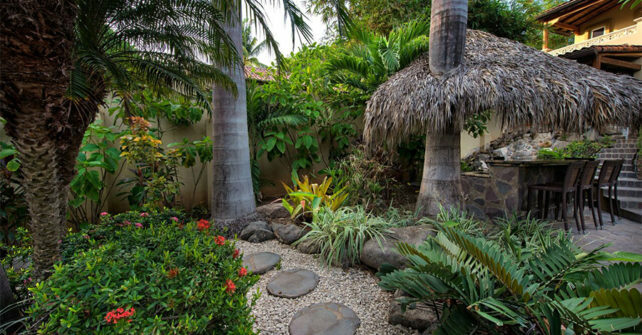 Casa de Luz is a luxury rental that you will want to explore while shopping for houses for rent in Costa Rica. If you are going to be renting with a group, you can have the height of luxury for a very low cost. Looking for rental in June 3rd week for 2adults and 2 small children . Would like to know price for week rental !! Thank you for your inquiry; our reservations department will reach out to you!